Highland Roots was founded in the late 1980s by Graeme Mackenzie MA, who's pictured left. Graeme won a scholarship to study history at Cambridge University, and after graduation taught the subject part-time while working in a number of other jobs, including pulling pints at the historic “Eagle” pub – where he created a cricket team and helped organise the Cambridge Pub and Social Clubs Cricket League. In the early 1980s Graeme created local music magazine “Blue Suede News”, and became a part-time presenter on BBC Radio Cambridgeshire. He was also involved for a number of years with the committee that organised the world famous “Cambridge Folk Festival”. In the mid-1980s Graeme’s BBC work moved into the production and presentation of music and current affairs documentaries, and in 1986-87 he conceived, researched, wrote, and presented a major ten part historical series – “A Power in the Land” – which looked at national history from a regional perspective, and was one of the first such series to be networked on local radio. 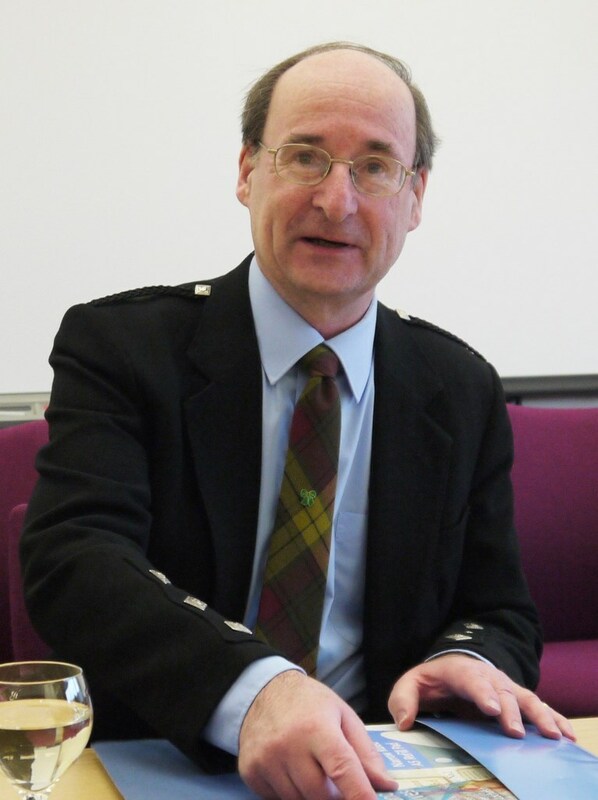 In 1993 Graeme was appointed Curator of the Clan MacMillan International Centre in Renfrewshire, with a particular brief to organise the collection and publication of information on the clan’s history and genealogy (a connection stemming from his grandmother Catherine Macmillan who came from Glen Urquhart on the shores of Loch Ness). This involved building the first Clan MacMillan International website and creating Project MAOL (Macmillan Ancestry On Line). Graeme’s also been instrumental in organising a number of successful clan gatherings, with tours, talks, concerts, pageants, and ceilidhs - including significant fund-raising elements for the major charity that was founded in the ewarly twentieth century by a bard of the clan; i.e. Macmillan Cancer Support. Graeme was Chairman of the Highland Family History Society - an organisation with hundreds of members worldwide - from 2007 until 2013, when he was elected Chairman of the Association of Highland Clans and Societies. For many years he's been attending Highland Games and Clan Gatherings in Canada and the USA to meet and talk to MacMillans and MacKenzies, and to give presentations and lectures on Scottish history and genealogy at Celtic Events and to Scottish Interest Groups. In 2014 he undertook a month-long lecture tour in New Zealand and Australia, whence he hopes to return in 2019. See Presentations for a list of lecture and seminar topics that Graeme can offer. Graeme has written extensively on Scottish clan and family history, for which see Publications.